IF you recognize what we have at Upton Farm please send a letter to any of the following people (or ALL of them) who are responsible for the fate of the Farmlands. Remind them that they can demonstrate their leadership and concern for our environment by saving these lands as greenspace. Please tell them that it’s not right for the federal government to build a mega housing development on the coastline of PEI, endangering an adjacent fishing ground and competing with Island home developers in the area. 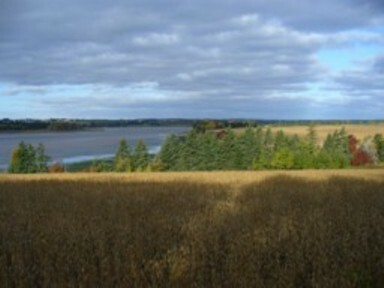 Bring to their attention that there are already 279 serviced lots in the West Royalty area surrounding Upton Farm, and 110 new lots now being prepared across the North River in Cornwall. Clearly, this island does not need more houses, but it does need public access to our coastline. If we do not plan ahead now, it will be gone. This entry was posted on October 18, 2007 at 9:57 pm and is filed under Letters of Support, Links, Raising Awareness, You can help, You can make a difference. You can follow any responses to this entry through the RSS 2.0 feed. You can leave a response, or trackback from your own site.